As part of a request from a friend on twitter, I decided to look into the original Blazing Blade commercial. I translate what’s going on, an excerpt from an interview regarding the commercial, a design document, what song is playing, and some other fun tidbits. First, here is the commercial itself, starring former actress Maki Horikita. And below is the translation. I try to go in order and specify what is said by the voice, and what is just text. The song is afterward. Please note the translation is also to express intent, and thus, is not completely literal. How will you fight alongside your friends…? Fire Emblem. The Blazing Blade. Note the song cuts off before the final two characters 真実 (truth). This is the third paragraph of the song. The rest of the Japanese lyrics for the song can be found here. Next is a brief excerpt from a larger interview with Tohru Narihiro from the Making of Fire Emblem 25th Anniversary book (specifically page 277). 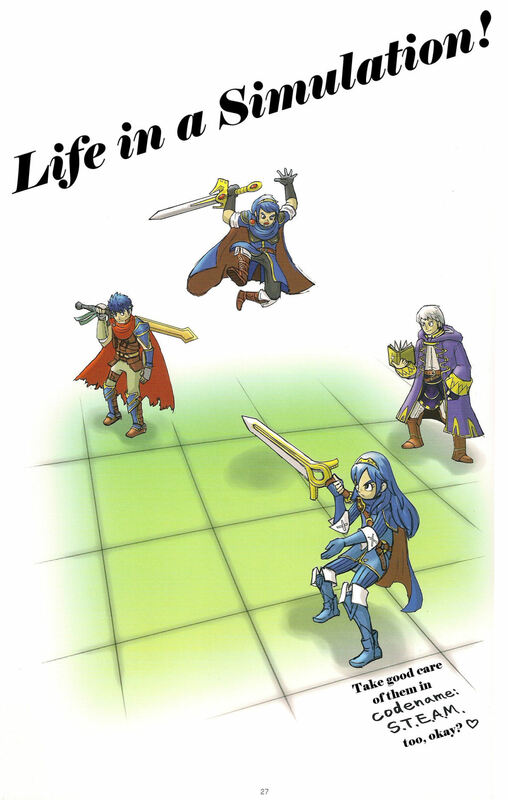 The TV commercial for Binding Blade featured a song that was reminiscent of the Shadow Dragon commercial. However, the Blazing Blade commercial had a different kind of appeal with casting Horikita Maki along with Ken Hirai’s song playing. Narihiro: Yes. 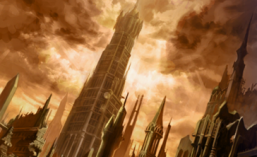 That was one of many ways we sought to widen the gates [to make the game have more widespread appeal]. The above document has the same flow as the final product. The minor differences are the lack of “goodbye,” as well as a slightly different word used for “parting” (they wrote “separation” instead). Another subtle difference is that it seems Kent is the character dying instead of Heath in the commercial, a tidbit I point out just a silly point later. Also, the title seems to be “A girl’s murmurs.” The music is simply “Ken Hirai~” but not what song of his, either. From the commercial, interview, and documents, one can see that the intention was to broaden the appeal of the game by using a known actress, popular song from 2003, and a change of style in presentation among other things. Most notable is how the commercial is more emotional and focuses on meeting allies, growing with them, and eventual partings via mechanics like perma death. Compare this with previous commercials that are more opera-like with an operatic flare (links provided in the interview segment above). “LIFE is…~another story~” is a romantic song (as the excerpt may have implied already) by the famed Ken Hirai, so was likely used for its popular appeal rather than its literal meaning. However, the themes of friendship and bonding share similar themes to love and longing, so it helped set the intended mood beyond it simply being a popular song in 2003. The song was not written for the game, but was actually the theme for a TV drama known as Black Jack Ni Yoroshiku. The final commercial featured Heath as the ally that has fallen and is being “parted with,” rather than someone so looks more like Kent in the original document. 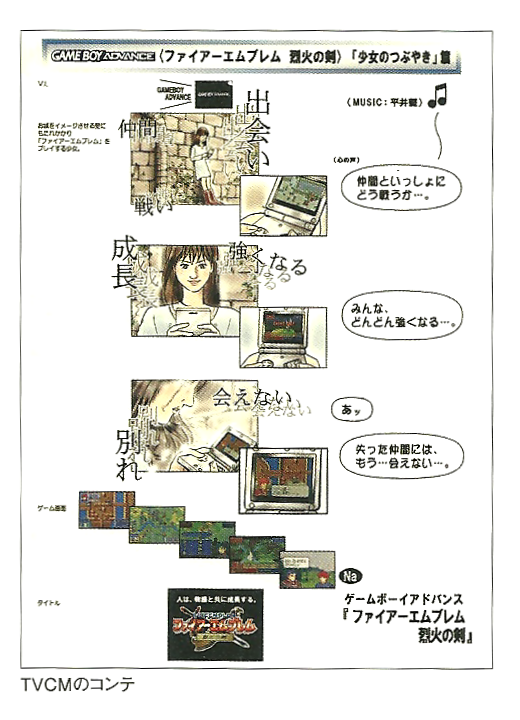 The emotional music paired with her waving him off with a “goodbye” became a bit of a joke among the fanbase, with multiple fans citing this commercial as the reason why they voted for hm on an FE7 popularity poll. They felt that bad! It’s much like how Dorcas came to fame thanks to the US commercial making him a bit of a joke. Speaking of the US commercial (linked above), you can see the difference in intended marketing between the two versions. The US commercial goes with “build an army, trust nobody” as its central theme, rather than the themes of “meetings, growing, bonding, partings” that the Japanese commercial aimed for. Considering it was the debut game for the US (and west) too, it’s an interesting approach! I believe that’s all that really needs to be said for this commercial! I hope to cover the Japanese commercial for Sacred Stones down the line. Fire Emblem Heroes featured an update that includes new characters such as Dorcas, Lute, and Mia. You may recall Dorcas being the most surprising of these three to place high on the Fire Emblem Heroes popularity poll (Choose Your Legends) that took place some months ago. It had been attributed to a particular meme involving a US commercial for the game he appears in, Fire Emblem: Blazing Blade on Game Boy Advance (and seventh installment in the series, first to come to the US). Fans noticed very quickly that he in fact references this commercial directly (twice!) in his English dialogue in Fire Emblem Heroes, and I received multiple requests to look into what he says in Japanese instead. Over the last week, I took an in-depth look at the Fire Emblem Heroes “Choose Your Legends” poll. 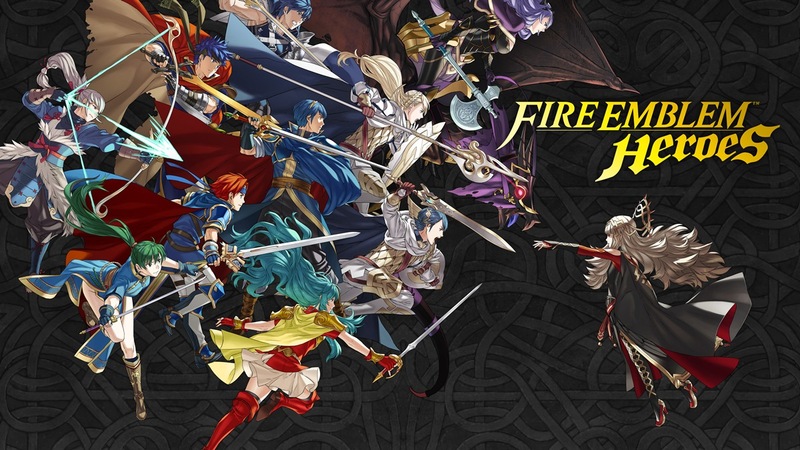 It is the first time there has ever been (what is essentially) a popularity poll of the Fire Emblem series conducted worldwide across every main entry in the series. For that reason I put a lot of time toward looking at the trends, characters, and other fun data that we can derive from it. There are limitations to it of course, which I address on each individual post. I hope as a Fire Emblem fan you gain some nice insight form all this. A big thank you to Elieson over on serenesforest.net for having organized the original graphs of data that I could then modify and format for purposes here. I will be resuming my usual translations from tomorrow, but if you have any other suggestions on what sort of data you want to see formatted (such as “Chart showing Jagen characters lined up), let me know! I’ll happily add it. Today we will focus on FE6 (Binding Blade) and FE7 (Blazing Blade). The latter is the first Fire Emblem game that came to the west, and indeed it shows! Combined they form the Elibe games. 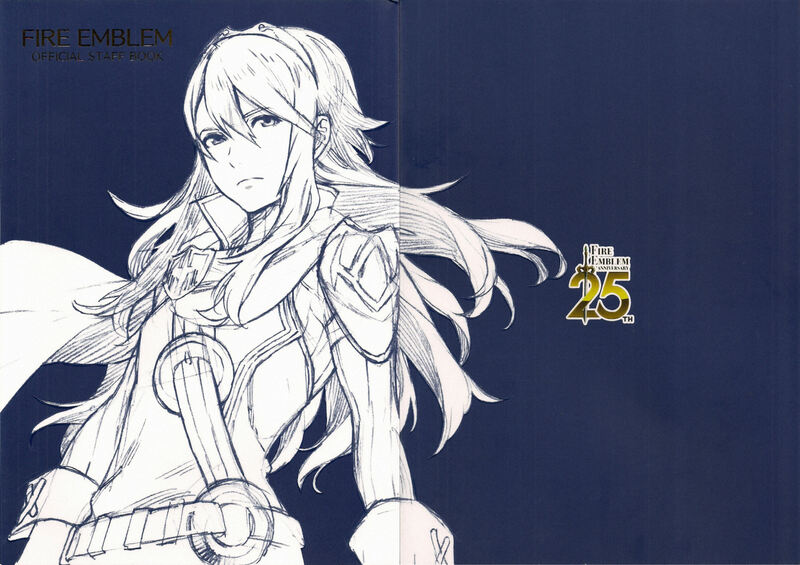 Today’s translation comes from the Fire Emblem 25th Anniversary Comiket Staff Book. It was a small book that featured notes and artworks from the game developers. 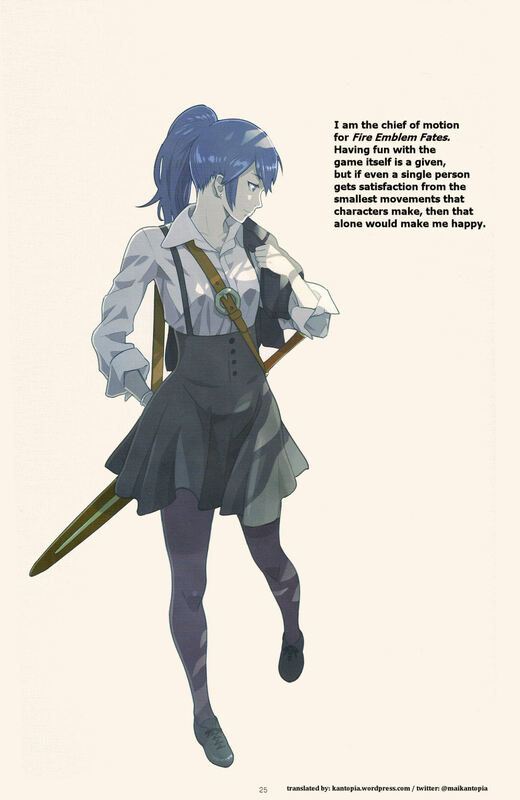 I do not own this book, so all credit for scanning goes to an imgur gallery kindly uploaded by kingddd. I am not translating these in any order, and simply by interest/request. I may get through the whole book eventually, but we will see! I took a look at Page 27! I took a look at Page 25!